Humankind is primarily of the pack or herd instinct. There is no human need larger than that of belonging and it crosses all economic, educational, religious, scientific and philosophical boundaries. and so it goes, this need to associate, to find regard among those like us. We give lip-service to independence and individuality, all the while hungering for the approval of association. It can’t be legislated around, cured by war, argued, gotten away from or denied. Peer approval runs the world, mostly for the better and persistently, if marginally, for the worse. 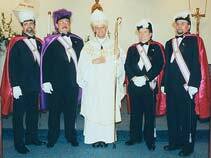 We accept with anything from roaring approval to embarrassed acceptance, all those clubs and fraternal organizations that include everything from the Queen’s List of Honors to the Rotary, Kights of Columbus, Boosters and various Chambers of Commerce. What is the KKK but a cluster of the like-minded, grazing in the fields of hatred. Indeed, what separates Catholic from Protestant, Hindu from Buddhist, Shiite from Sunni but a thread of membership and belief of the like-minded. Not an argument over God, but one over who’s God and who’s club best represents the worship of that deity. 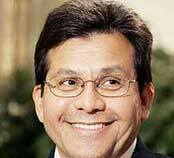 Our Attorney General, Alberto Gonzales told a group of editors after a recent nationwide personal survey of street-crime, “Gangs have taken hold, not just in the Hispanic community but also in the African American community. I don't know why that's the case." Refreshing to hear a public official so high up the ladder admit to not knowing answers and, for me, it shows a sensitivity beyond some knee-jerk national priority to declare a ‘war’ on gangs. Further, Gonzales said, "Sure, we may be able to prosecute them and put them in jail, but that represents a lost future as employees, as future leaders in our community. We can't afford it." I find that statement both brave and accurate. Street gangs, I would suggest, are not any different in their appeal (and therefore their success) than college fraternities and sororities, political parties or Little League baseball teams. Trying to close them down, pack their members off to prison or lure these inner-city kids to the brighter pastures of the local broken-down basketball court are sure to fail. It might make us feel we’re ‘doing something’ even though we’re not, not anything effective or long-lasting. Gonzales is right and very courageous to admit he doesn’t have an answer. My own prejudice is that there is no answer in the top-down, hierarchal, one-size-fits-all sense and that gangs, like poverty itself or education reform, will only find relief in small locally-applied solutions. To expect the young and hopeless to find a tatty basketball court more appealing than drugs, new threads, money in the pocket and membership in a gang with attitude . . . something they’ve never been exposed to, is simply ludicrous. But a Microsoft work center? With cutting edge technology and a job at the end of the program? Maybe. A car detailing school? Learn something interesting, useful and profitable? Could be. A work program learning to operate inventory-handling equipment, sponsored by an area company with real jobs? 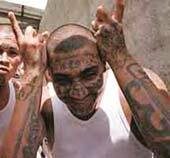 It might work, bringing these potential gang-bangers into a different kind of peer group. Or maybe it’s dreaming. I’m a long way from those neighborhoods, but there are community leaders there and they need to offer something other than a sports program and doughnuts after. Curtis Sliwa’s Guardian Angels was a peer group as well, the living proof that belonging doesn’t have to mean a constant hustle.